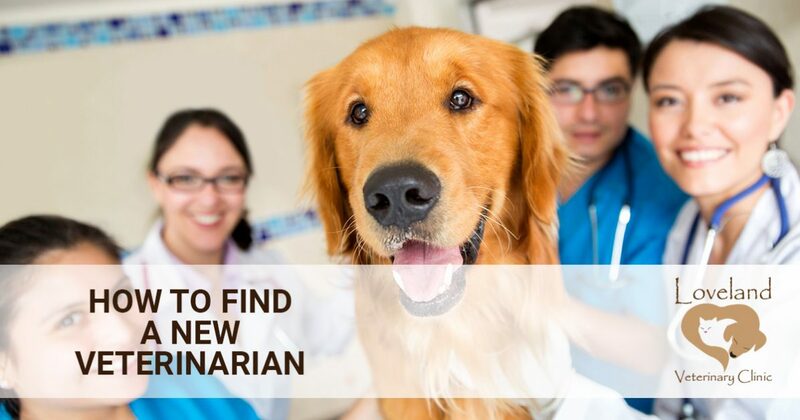 If you’ve recently moved to a new city, or you finally got the kids that puppy they’ve been begging you for, then you might be looking for a veterinarian. Finding the right vet is key to your animal’s health and happiness, but it’s also important for your peace of mind when it comes to your animals. At Loveland Veterinary Clinic, we love meeting new people and making sure that their pets get the treatment they need, as well as the customer service that the owner deserves. Regardless of the reason why you’re searching for a new vet, there are some things to keep in mind when searching online or when driving around your new neighborhood. The chances are good that your new neighbors have pets of their own, and asking them which vet they use can be a great place to start. Talk to the people you live near and work with, and get their opinions on local vets and who they trust with their animals’ care. Word of mouth can be a powerful tool, and learning all you can about a vet before you call or visit can make a big difference. One way to get to know a local vet is to visit their office. You don’t have to have a sick dog or cat to schedule a visit, and you can always just stop by and let the staff know that you’re new to the area. This will give you a chance to meet the doctor and the team they work with, and see if the practice is a good fit for you and your animals. However, keep in mind that the vet is likely busy throughout the day, so it can be courteous to call ahead before you arrive. Stopping by can give you an opportunity to see the office, but the vet may be performing surgery or treating a sick animal. 3. Does the Vet Treat Every Type of Animal? Many vets will advertise as large-animal or small-animal specialists, and it’s important to know whether or not they can treat your animal. If you have livestock or larger animals such as cattle or alpacas, calling a “small-animal” vet likely won’t help. If you have a bird or a reptile, it’s imperative to know if a vet near you can treat them, should an emergency arise. This is perhaps the most important thing to look for when researching veterinarians. A compassionate, caring vet who puts your pet’s need first can trump a vet who’s closer to your house or who came more recommended by your friends and neighbors. It’s important to build a positive relationship with your vet, and seeing how they treat and care for your pet can go a long way in building trust. If the vet seems more interested in treating the problem quickly, instead of finding the best solution, then it might be time to look for another animal doctor. At Loveland Veterinary Clinic, we strive to treat you and your pets with the care and respect that you deserve. 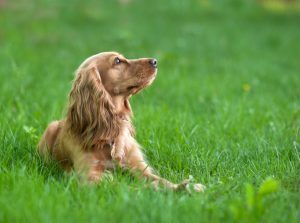 We always put your pet’s needs first, and we can refer you to a specialist in those instances where we feel one is needed. We’re centrally located in Loveland just off of Eisenhower Boulevard, and we’re here Monday through Saturday. We’d love to meet you and your pet! Contact us today by calling (970) 667-3252, or use the button below to fill out our online form. A member of our staff will gladly answer your questions, and can help schedule a time to visit our office or make an appointment for your pet.